It is Oct 31, 2015. Two years ago to the day, the whole world fell asleep at the same time and half the worlds population woke up with powers. Current world governments collapsed as a result of a year long battle with newly powered individuals. In the rubble, new territories formed in the cities and regions. Only a handful of cities were demolished due to all parties seeing the stupidity in reducing whole cities to ruins. Much of the world is as it was before the event except new governments have risen in smaller sized territories mostly lead by extremely powerful people. Last edited by mrdent12 on Sat Dec 07, 2013 7:50 pm, edited 22 times in total. 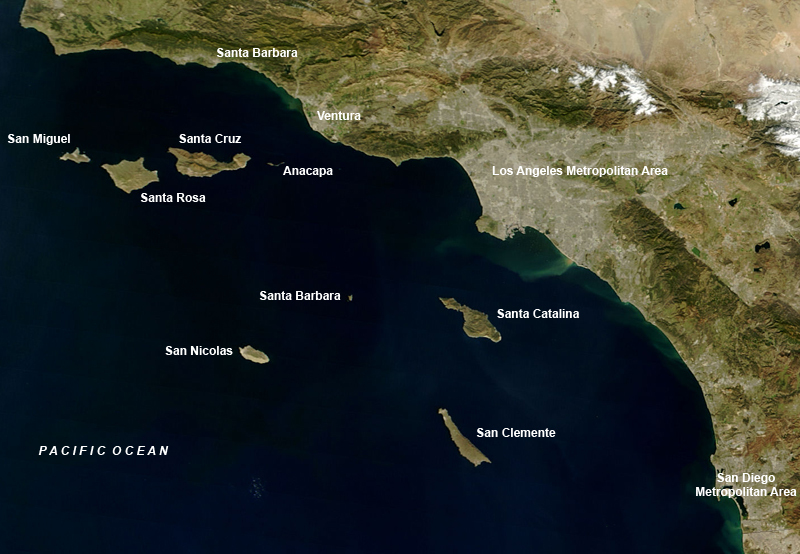 Geography: Small eco friendly cities on the various channel islands no larger than Avalon with at most 20 percent of each island developed. The rest of the islands lands are dedicated to nature. Leaders: Judith and Edmound Mosconti. Judith and Edmound were self made millionaires who retired at the age of 35 to Avalon. After the event, Judith awoke with the power to pacify any hostile intent within 50 miles of her and Edmound erect protective force fields he could configure however he wanted. Government: A constitutional monarcy. Judith and Edmound serve as the heads of state with a legislative body voted on by the population. History: On November 1st, Judith and Edmound Mosconti awoke on their boat in Twin Harbors to people flying and causing the ocean to go crazy. Before a major wave hit the boat the wave slammed into some field around it. Concerned, the couple quickly sailed to Avalon to get any news they could. In the city, there was a small group of people flying around, shooting lasers from their hands, or generally causing havoc. Upon Judith's arrival, the havoc stopped and everyone calmed down. From the island, everyone could see plumes of smoke rising from the approximate area of Los Angeles before what looked like a nuclear explosion went off in the area.The island and its inhabitants stayed strangely calm and looked at the situation with concern. A few of the powered islanders volunteered to check out the scene and returned only a few hours later thanks to one of the groups power of teleportation. Their report was not pretty. The national guard, navy, marines, and U.S military in general were fighting people doing amazing things only seen in comics. Edmound and Judith knew what was coming because they had built their fortune on predictive analysis. They immediately set to work securing the island with Edmounds force fields, Judiths calming influence, and the aid of others with powers. Not long after, a few attacks were directed at the island itself when the U.S navy tried to establish a base in Avalon. Luckily, the force fields kept the navy out and the few people on the island who would throw a fit in support of the navy realized it was better to stay out of the fight. Not long after the event, refugees trickled across the channel to Avalon and the other Channel islands in the hopes of escaping the violence. It was obvious that many refugees and the many more that might come would quickly overrun the island, so Judith and Edmound took charge and made the tough choices of who should be allowed and who should not. They also dispatched small teams to secure the other channel islands for future refugees and spreading out the population. They knew they had to help, but didn't want to ruin the nature habitat part of the island or consume the natural resources. In a short three month time span, all the channel islands were brought into the fold and settlements were started on each island. A call was sent out to anyone who could still hear that the islands were a safe haven for those with peaceful intentions. Boats, planes, and people under their own power started migrating to the islands and given residence in various settlements. At the same time, Edmound spearheaded a group in secret to determine what caused the sudden outbursts of powers. To this end, he built a massive underground lab. Last edited by mrdent12 on Mon Oct 14, 2013 6:09 pm, edited 1 time in total. Prelude: The U.S military had been making some progress against Freedom Front, a separatist group based out of Seattle that claimed a large portion of the U.S northwest and parts of Canada as their territory. While Freedom Fronts founding members had great power such as weather manipulation, EMP induction, and machine control some of the other leaders and fighters weren't as powerful. The military had managed to take back most of the region except Seattle by using overwhelming force on the weaker fighters. A few fighters put up a good fight, but 100 tanks and a dozen jets can be pretty devastating to mentalists or earthquake inducers. On the eve of the battle, the military had established a perimeter and started starving the city. It was tking heavy loses though because a large part of their equipment was technology based and the bad weather made recovery difficult. Battle: The battle spanned two days. Tired of the heavy loses, a fleet of heavy bombers supported by F22 jets took out strategic centers of the city. In retaliation, an extremely violent storm demolished three regiments of men blockading the northern entrances to the city. This attack woke the generals up to the fact they were simply outgunned using conventional weapons. On the next day, a group of fighters lead by the human EMP moved north to try and break a hole in the blockade. To their surprise it was empty and all around the city the military was retreating. That was when the fighters saw a lone missile come flying out of the sky and slam into the city. It was the last thing they ever saw. A giant mushroom cloud five times the size of Hiroshima grew out form the city. Aftermath: Everyone in the military was appalled at the violence and mass destruction. It was the first time a nuclear weapon had been used on U.S soil on U.S citizens. Freedom Front was destroyed, but so was Seattle and the surrounding area. No general ever had the stomach to use a nuclear weapon again in the battle against empowered people. The general who ordered the attack and the acting president both committed suicide after seeing the satellite images and touring the area of devastation. Last edited by mrdent12 on Mon Oct 14, 2013 6:12 pm, edited 1 time in total. Prelude:In the poorer areas of Los Angeles there was a lot of tension building up before the event. Poverty and gang membership combined with distrust of authority made the area a powder keg ready to explode. As it happens when people who feel oppressed wake up with great power, they use it to fight against their perceived oppressors and enemies. The spark that lit the powder keg was a gang member using their new found power of making people explode to kill a rival gang member. Uprising: Police flocked to the scene of the killing, but only two hours after being called because of more pressing needs such as rioters and crazy people using their powers as if they were a gift from the lord of trash cans. By the time they arrived, the gang was circling the wagons and forcing the neighborhood residents to be silent. One of the especially bold gang members tore a cop apart with his new super strength and caused the other cops to shoot the rest of the gang. In the cross fire, a little girl was killed. It wasn't long before the residence started blaming the cops for being too violent and the more volatile elements of the community started a massive riot. All across L.A, stores burned and looters stole what they could. In the mist of the uprising was a boy, not much older than 18. A group of looters broke into his house and started assaulting his family. Inside the boy stirred an anger he had never felt before, a pressure cooker about to go off. Go off he did. A flame grew from his body and enveloped all of those around him. It did not stop at his house or even neighborhood. The flame grew until it incinerated all of L.A. Aftermath: L.A was burned to crisp in a burst of flames hotter than the sun. Every man, woman, and child in L.A except for the boy was killed. Since leaving the scene, no one knows what happened to the source of the fire burst. Last edited by mrdent12 on Mon Oct 14, 2013 6:15 pm, edited 1 time in total. Prelude: After the event, Washington D.C was locked down tighter than an oil drum. People with powers still loyal to the government and the brightest minds set up defenses around the U.S capital so that a bird couldn't even get into the city. Still, the president and vice president were assasinated by an unknown assailant. This lead to the appointment of the newly elected speaker of the house as president. His first order of business was to declare war on all powered people who thought they could stand against the might of the U.S. For the first month or two, it succeeded until he saw the devastation using all out force would have and killed himself out of grief. The next few people in line for the presidency all declined and went into hiding until the military staged a coup. A general who had urged the nuking of Seattle was named the acting president until order was restored. Slowly, the military ran out of man power, ammunition, and general supplies. There was just too many enemies and people who could on a whim wipe out whole battalions. A general refusal to use the nuclear arsenal meant that there was just no answer for some powered people. Inch by inch, the military was forced to retreat until the end of September 2014 where they fought off a host of powered people lead by a literally on fire individual built like a tank. What remained of the military sought shelter in the safety of the defenses of Washington D.C.
Sacking of Washington: Exhausted and almost out of supplies, the general in charge of Washington realized he had only one move left. He had to take out all the forces in one fell swoop even if it meant he would die. Gathering the brightest minds, the group provided him with a weapon 100 times more powerful than an atomic bomb that would wipe D.C and anyone around it off the face of the earth. Everyone except a small contingent of soldiers evacuated D.C. A plan was set in motion to weaken the defense shielding surrounding the city so that the assembled forces against them would swarm the city. Swarm they did. Everything was going according to plan until the weapon didn't work. The soldiers fought bravely, but their weapons were of little use and they did not have much ammo. After the city was ravaged, one of the assailants let out a massive wave of rocks that reduced the city to rubble. Aftermath: All hope of reforming the United States died. Once word spread of the destruction, other world capitals fell like dominoes and the geopolitical landscape changed forever. Last edited by mrdent12 on Mon Oct 14, 2013 6:22 pm, edited 1 time in total. Cheerful stuff Mr Dent, but chillingly well-written; for some reason it occurs to me that quite a lot of the new super-humans expressed powers highly consistent with the Horror genre and other Halloween-associated themes. Libra wrote: Cheerful stuff Mr Dent, but chillingly well-written; for some reason it occurs to me that quite a lot of the new super-humans expressed powers highly consistent with the Horror genre and other Halloween-associated themes. Thank you. I am still working on it, so a lot of the typos and grammatical errors are going to be fixed. There are also a couple other minor aspects that need to be tweaked. That said though, I still need to add some of the more heart warming background bits to not make a completely doom and gloom type setting. The horror genre and Halloween themes are a happy coincidence. Nov. 1 2013: Los Angeles erupts in a fire massive massive ball that destroys the city. Nov. 6 2013: The President and Vice President of the United States are assassinated. The newly elected House Speaker becomes acting president. Dec. 10 2013: A nuclear bomb destroys Seattle and the surrounding area. Dec. 20 2013: The acting President and leading general commit suicide. Jan. 6 2014: The military stages a coup and places a general in the presidential position after successors flee into hiding. Oct. 16 2014: Washington D.C is sacked. Jan 23 2015: The Treaty of Avalon is signed. Last edited by mrdent12 on Mon Oct 14, 2013 9:42 pm, edited 1 time in total. Prelude: Even before the fall of Washington, most regions of the world were in chaos. Moscow was controlled on a rotating basis that changed almost daily since a week after the event. Nations on the brink of civil war erupted in fiery battles destroying what little infrastructure they had built in the times of uneasy peace. Once united Europe broke apart and groups fought for lands they thought belonged to them by right. In short, the world was in chaos. With no world governments left, the leader of the New Irish Nation, Belinda Sullivan, formed a group of like minded peace seeking people to try and gather everyone for a summit to discuss an end to the violence. The escalation in violence after the sacking of D.C and the war weariness setting in with the larger territories prompted the most powerful territories to meet for one day in a place guaranteed to be peaceful, Avalon. Conference: All parties and their representatives arrived for one day to see if they could hash out their differences or at least start a dialogue in a place free of hostility. Drinks were served and exotic food prepared for the attendees to feast while they talked. Several important break throughs and agreements were reached that day. The four most important ones formed the basis for F.U.N, the forum of unaligned nations. Its name was chosen in no small part to the alcohol and pleasant acronym insisted upon by the drunken representatives of the New Irish Nation and United Russian Front. The first point was that a forum would be held twice a year in some location and all parties with grievances would air them out over fine food and drink. Second, F.U.N would maintain mediators with pacifying powers to lead mediation of disagreements before they got out of control. Third, the worlds infrastructure would be rebuilt with the help and resources of capable volunteers. Fourth and finally, internal strife in territories would be left for the territories to deal with as thy saw fit. Aftermath: With the larger territories agreeing to the terms, smaller ones had no choice but to fall in line or risk being swallowed up. In short order, thanks largely to the efforts of empowered people, the worlds connections were reforged to a serviceable level. Life in some territories even improved without the constant threat of take over. Underneath the peace lay an uneasy feeling of resentment by the small powers who had decided to bide their time. Internal to many territories, there was still a battle for control that stayed mostly contained and did not interfere with the attempts to rebuilt the worlds infrastructure out of pragmatism. Geography: A large island off the coast of the European continent and along the Irish Sea. Leader: Belinda Sullivan. She is a powerful telekinetic who has a permanent personal force field and the ability to rip things apart at the atomic level. Her status as the prime minister was largely achieved because everyone in the newly united territory knew they had no chance of beating her popularity. History: Nov. 1 2013, the world went to hell. Reports all over Europe blared about the years of boiling tensions exploding all the continent. In a rash, but popular Northern Ireland was abandoned by the U.K as the violence spread to England. The Republic of Ireland offered to help protect their now abandoned kin to the north, but pride and resentment prevented the hand of giving from being grabbed. For a few months both territories were fine because the brunt of the focus on England and the continent. All they could do is sit in horror as they watched the battles raging to the east. Soon, not even the island of Ireland was spared. A group calling themselves Vikings of Old, wearing the same kind of clothing, started raiding various coastal cities. Man, woman, and child fled at any sight that might foretell the coming of the raiders. It was an old story playing out in the modern era. Northern Ireland fell to the onslaught of attacks and all surviving inhabitants fled to the better protected Republic of Ireland. The republics defenses soon fell as well and any semblance of government was reduced to small local warlords making deals with the Vikings of Old. Unfortunately, most of the deals involved slave labor or pleasure slaves. One woman dared to speak up and oppose the invaders. Her immense powers easily dispatched a host of raiders trying to fill their quota and enjoy a few of the other perks whether the inhabitants liked it or not. Word of her opposition spread and she gathered hundreds of followers with each passing day. Most of the followers could at best bend a spoon with great effort, but Belindas ingenious military strategies and guerrilla tactics still utilized them. It wasn't long before the Vikings of Old got tired of losing men and resources. The island of Ireland wasn't worth it to them. Free of the invaders, the Irish people were at each others throats. It seemed the only thing they could all agree on was that Belinda had saved them and should lead them into the new era. At first they tried to appoint her queen, but she refused and insisted upon a parliamentary system of government so that all people would be represented. united again, the newly formed nation was able to effectively fight off future raids and push for a world wide peace. Happens to the best of us from time-to-time (and to all the rest of us too!). Speak for yourself. If I post in a thread and it doesn't seem to be the correct thread, the thread is wrong. Overview: The World Transformation Foundation is a completely volunteer based organazation dedicated to rebuilding the worlds infrastructure after the massive damage inflicted after the event. All of its members agree to serve the best interest of the world above the interests of whatever territory they choose to reside. After its founding, it has been responsible for the establishment of a new internet build from the servers and routers of the previous one. In addition, it has restored or set up power generation in half the world. Most territories in the world recognize the neutrality of WTF and allow the members access for the infrastructure improvement projects. Structure: All of the mebers are volunteers who are lead by Belinda Sullivan. She and a small hand picked staff sort through the thousands of requests for help that come in every day. Once a plan of action is decided, she sends out a small 6 person team comprised of people with powers or special knowledge that can best help in the given situation. Base: Dublin, New Irish Nation. It operates out of a small three room building. History: Following the signing of the Treaty of Avalon, Belinda set to work organizing volunteers for WTF. The first goal was to restablish the internet so that world wide communication could return to normal. The combined powers and knowledge of the first group allowed basic communication to be reestablished in a matter of months. Even in the warzones they entered, all participents agreed thanks to some subtle manipulation that communincation networks needed to be set up. Fortunately, most of the large companies had protected themselves and kept their networks safe so getting everyone connected again was quicker than anticipated. Soon, volunteers flocked to join WTF. Peope in peace loving territories were sitting idle for so long, but WTF provided them a purpose. Its ranks swelled from 20 memebrs to 1000 almost overnight. Teams were dispatched all over the world. Some were sent to ensure power was restored and others to get sources of power flowing again such as oil, coal, etc while another team dedicated itself to finding a non weaponized infinite power source. Last edited by mrdent12 on Mon Nov 18, 2013 11:12 pm, edited 1 time in total. Overview: The Vikings of Old are a ever growing group of pirates masquerading as vikings. Under the pretense of returning to their roots, the group raids coastal cities and ships at sea wearing clothing reminiscent of the vikings and using power enhanced bows, axes, shields, and swords. Known to only the inner circle of the group, the real purpose is to plunder their little part of the world and use hit and run tactics to do it. Other members actually think they are being part of a group of vikings. Structure: A small group of powered individuals leads a larger group of powered and nonpowered individuals. Among the inner group is an individual who can enhance weapons. All plunder is distributed to the members of the raiding party after the leadership takes their cut. Base: The south west tip of the area formerly known as Norway. History: After the event, people were lost. Traditional avenues of explanation such as the church did not cut it for a portion of north Europes population.This lead to several violent clashes with what remained of the military's of the area. Charles Devaux saw havoc and decided to take advantage of it for his own personal gain. Before the event, Charles was a history professor focusing on Viking history. He was never quite happy with his life though and thought he was meant for greater wealth and comfort. The havoc and loss of direction gave him that chance. Members at first comprised of the 100 duplicates he could summon on a whim. Quickly people flocked to Charles for a chance to play viking. One in particular allowed for the medieval weapons to be enhanced. Their raids focused mainly on Ireland and the island of England. Once Ireland developed methods to counter the groups strategies, the raids started spreading out more on whatever places had the weakest of defenses. After being defeated by Ireland though, they were never the same.